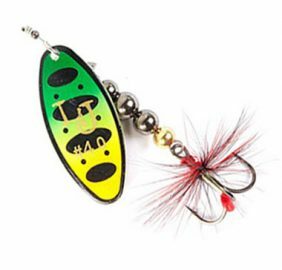 Trian Blade Long is the series of spinners from Lucky John a classic shape. 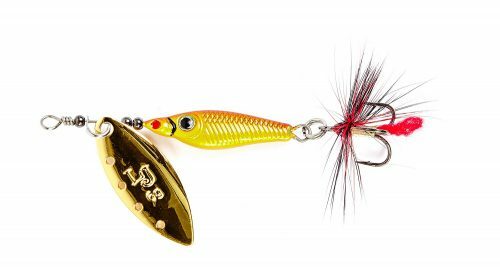 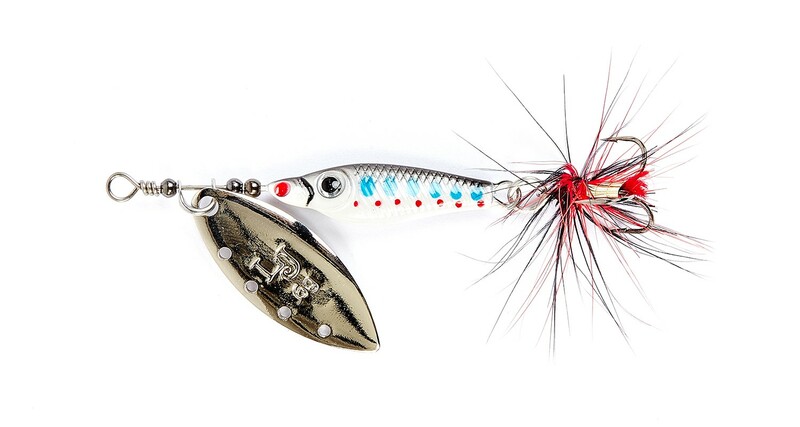 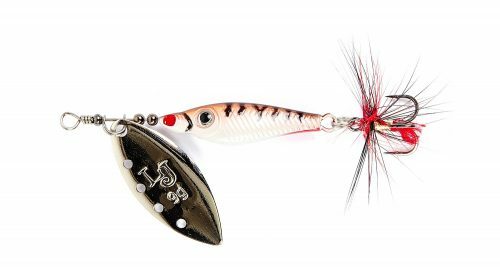 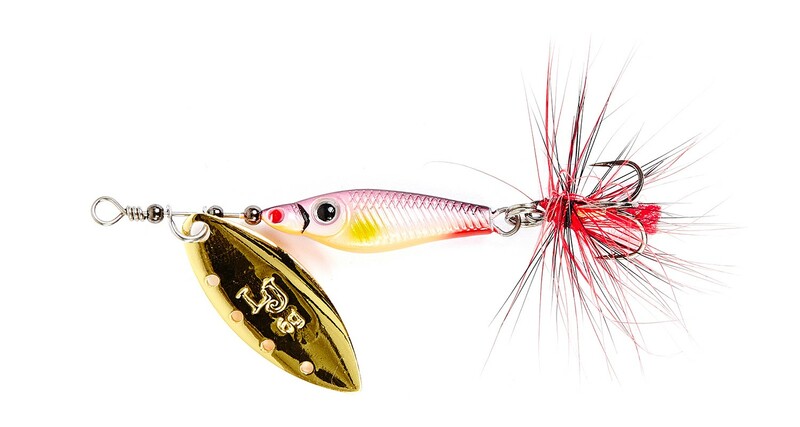 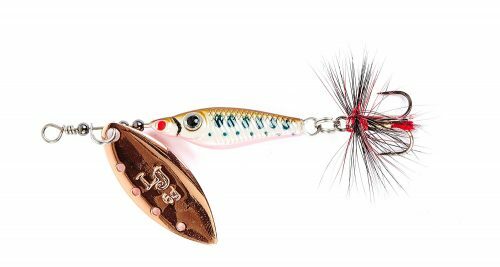 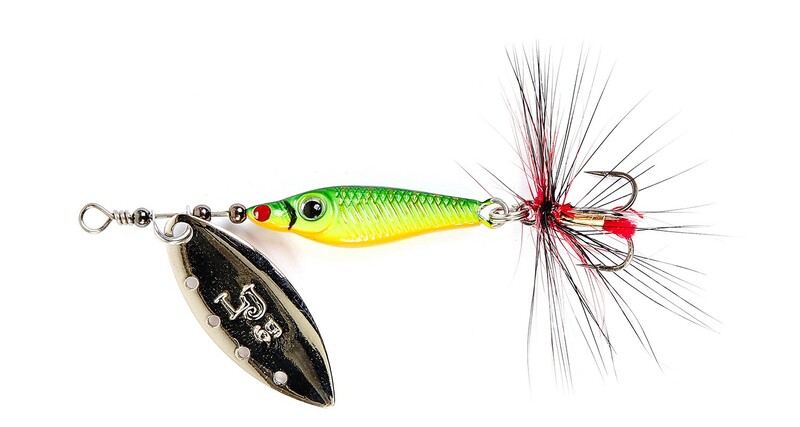 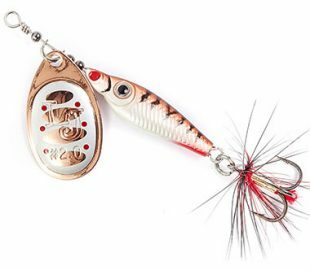 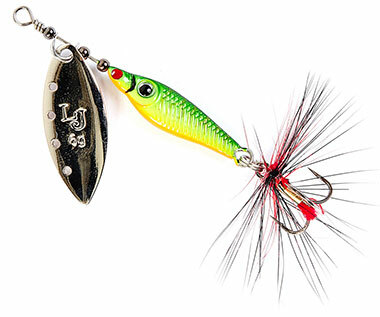 These lures use modern design solutions, which ensure the reliable and stable animation of spinners and make them highly attractive for any predatory fish. 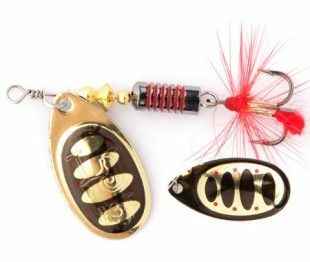 The rotating blade is made of brass and has steady movement at different methods and speed of guiding, The holes in the blade create additional swings, which are more attractive for predatory fish. When rotating, the angle of deviation of the blade is 30 degrees, which allows the lure to work in case of a strong current. 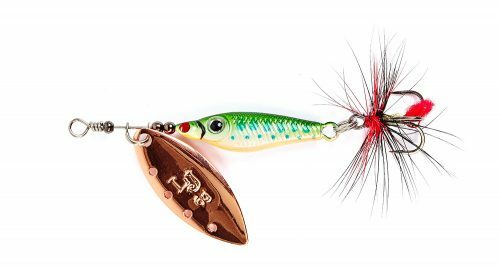 The body of the lures is made of heavy alloy, ensuring additional distance when casting the spinner, and has an adjusted geometric shape of the core, which allows reducing the twisting of the line during the play of the lure to the extent possible. 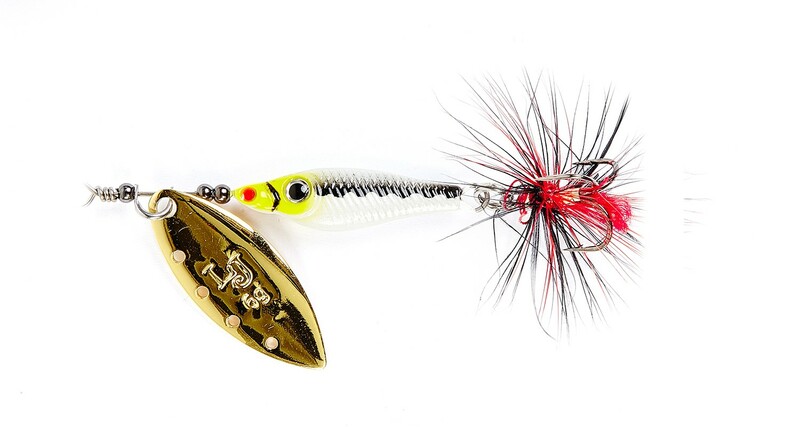 All triple hooks feature a bright fly, which serves as an additional exciter for the fish.